One of the important aspects of helping children learn is to make it fun – and what better way to do so than to use games. If you’re keen to help develop your child’s language and literacy skills, then here are some ideas for games that could do just that. Some of the classic and much-loved board games that involve words are perfect for aiding and encouraging children’s language and literacy skills. 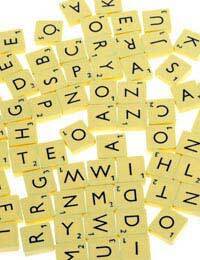 Board games such as Scrabble and Boggle are all about creating words and, whilst the adult version of Scrabble may be too advanced for young children to manage, the Junior version is perfect. There are various other similar word-based games available for children too, which are based on tiles with letters on them that need to be formed together to make words. Playing board games based on language and words is a great way of making learning appear fun – especially if all the family gets together to play – and is a good way of helping your child learn to put letters together to make words, as well as expand their vocabulary. Being able to spell correctly is a crucial element too, so playing word games can help iron out any indecision on the spelling of particular words, as well as broadening their horizon. One of the simplest forms of playing language and literacy games is to take to pen and paper. Used for years to help provide amusement, fill in time and aid learning, these games can be easily learnt if you’re not already familiar with them and played at home, or when you’re out and about. Good examples of wordy pen and paper games include Hangman, Word Bulls and Cows (where you try and guess each other’s words) and Scrambled Letters (a bit like Boggle, where you produce a grid of 16 random letters and see what words you can make out of them, the longer the better). In addition, children’s puzzle books usually have a large number of puzzles that are language and literacy based, so treating your child to a puzzle book once in a while can help develop their interest in words. The puzzles are all geared up specifically for children and, if you choose carefully, you can ensure they’re age appropriate for your child. With a variety of puzzle levels contained in the books, they’ll be puzzles they can solve relatively easily, as well as puzzles that challenge their literacy knowledge. In addition to board games and pen and paper games, there are numerous computer and video games available too, on a variety of platforms, that could offer learning potential. Popular word board games are often transformed into computer versions, plus there are lots of other language and literacy based games aimed at children of all ages. Free games to play are often available online, so you can test out how well your child gets on with games, and others are typically linked in with children’s favourite TV characters. Whilst it’s not ideal to encourage too much use of computer games, in moderation they can certainly aid learning. Helping promote the idea that learning is fun, rather than a chore, provides children with a great start in life and a good base for building the rest of their educational journey.